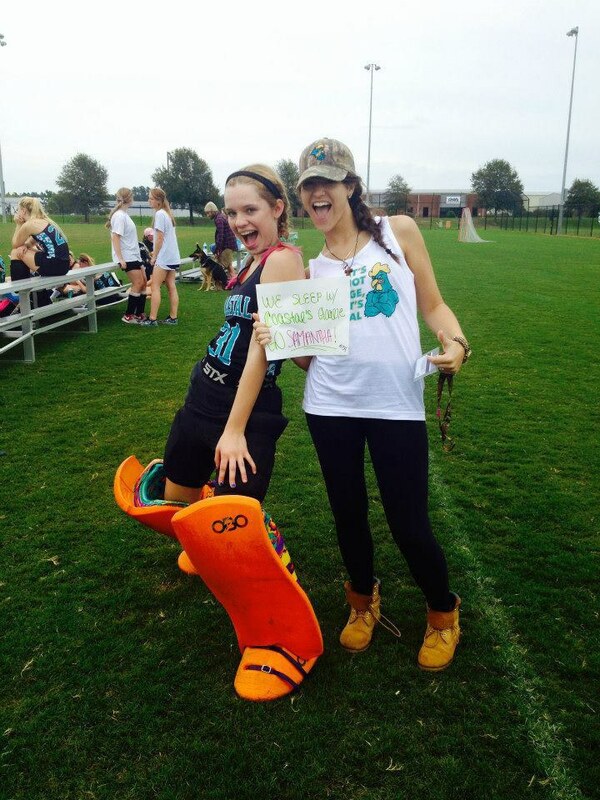 Field Hockey is not only a sport, it is a way of life. 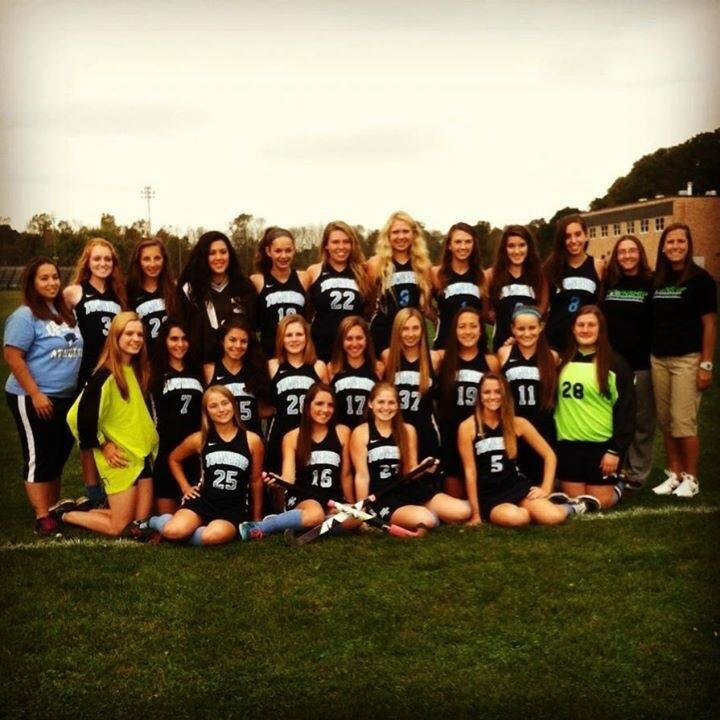 Fhockers:(noun) Athletic and enthusiastic girls who put their heart and soul into the amazing sport of field hockey. I have been playing field hockey for nine years now, both the field and as goalie. To say I have been identified as a Fhocker is an understatement, but it's one of my favorite things to be called. 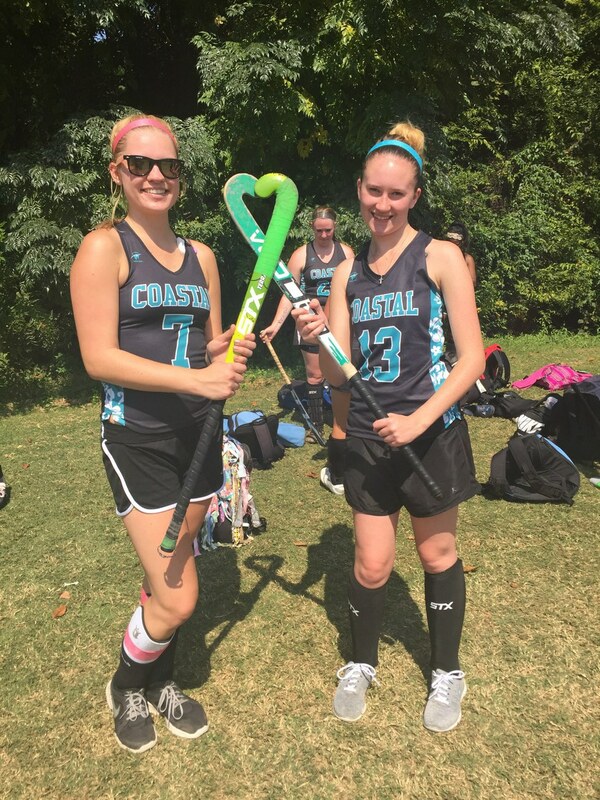 Below are 18 phrases that describe and define not only my experience and struggles as a field hockey player, but every other Fhocker out there too. 1. Hearing the words, "Get on the line", and knowing that you are about to die. 2. 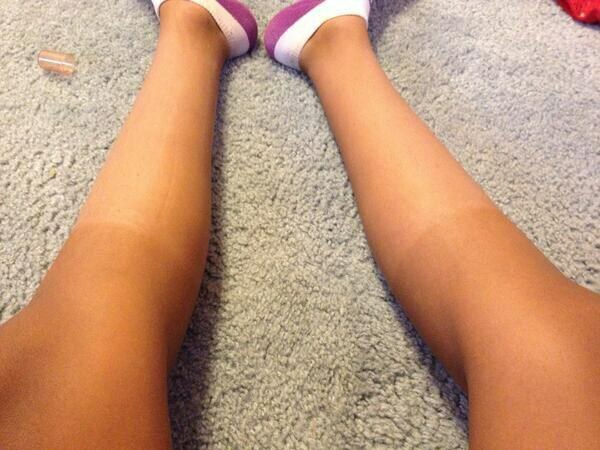 The awkward tan lines that come from shin guards and your jersey's and knowing that they will always be there. 3. The fear of the pre-season running and conditioning tends to haunt you in your dreams. 4. But then again, you know your body is going to look super great. 5. The overbearing excitement you get when you finally get to wear your jersey to classes. 6. We all know that the referees are never going to side with you– or your team. 7. The words, "It doesn't hurt that bad" always gets mumbled under your windless breathe as you are gushing blood, or as your hand is becoming two times the normal size. 8. However, no matter how ugly it looks, you're a field hockey player; so "Coach, I swear I'm fine, put me back in" is something you say often. 9. You are used to a very small, but rowdy crowd (mostly just parents) watching you play. Sometimes, if you're as lucky as me, your roommates will come and cheer you too. 10. 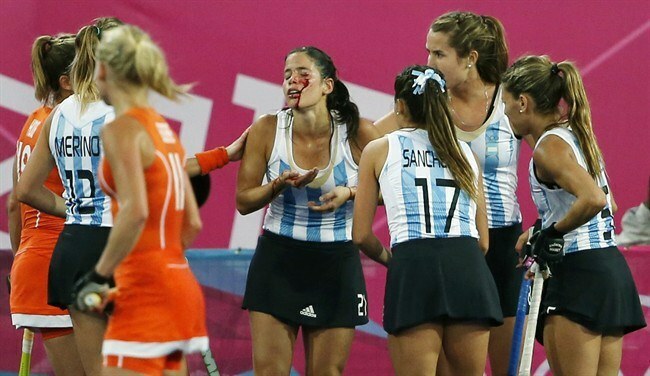 At the end of the game, you have to go and say "good game" to everyone on the other team and there is always that one girl who punches your hand instead of high fiving you. 11. The goalie equipment is hands down, one of the most foul smelling odors you have ever smelled in your life. Just think about how bad it is for us goalies, it's forever burned into our noses. 12. The long or short bus rides home after a victory, never fail to make the bus driver go nuts when because the whole team is singing as loud as they can. 13. When you are walking around with your field hockey stick and people look at you like you are holding an alien. 14. Goalies, we've all been asked this question almost every day, "How do you walk/run in that?" we just laugh and tell them that it's because you are a beast. 15. You spend countless hours trying to perfect tricks, some that can't even be used in a game, but it is just to show off and impress your friends. 16. The feeling you get when you score the game-winning goal... is like nothing you have ever felt before. 17. All the blood, sweat, and tears that you have put into this sport over the years have led you to where you are today. Yet you know that you could never play another sport and feel the same as you do about field hockey. 18. All of the time put into field hockey is worth it because you have met some of your best friends throughout the whole experience, and they just so happen to know exactly what you are going through.